Property 16: Cozy Warrensburg Cottage on the Hudson River! Property 21: Hiking, Canoeing, Fishing & Relaxing! Unplug and Listen to the Loons! Property 23: Unplug and Listen to the Loons! Property 24: Romance, Year-Round Outdoor Adventure, Whiteface Views, Hot Tub, Fireplace! 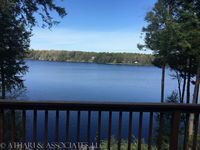 *OLD FORGE* Lake Access w/Beautiful Sandy Beach! Quieter Area, Washer/Dryer. Property 26: *OLD FORGE* Lake Access w/Beautiful Sandy Beach! Quieter Area, Washer/Dryer. Property 33: Whiteface Mountain/Wilmington New York~~Hot Tub, Gas Fireplace, Mountain Views!! July and August now available due to a last minute cancellation! River cabin!! Property 34: July and August now available due to a last minute cancellation! River cabin!! Private 1 Bdrm Efficiency - easy walk to Saranac Lake downtown. Property 37: Private 1 Bdrm Efficiency - easy walk to Saranac Lake downtown. Perfect get-away for couples in the Adirondacks!!! Property 38: Perfect get-away for couples in the Adirondacks!!! The Perfect Adirondack Getaway-Hike! Swim! Bike! Fish! Ski! Relax! Property 40: The Perfect Adirondack Getaway-Hike! Swim! Bike! Fish! Ski! Relax! 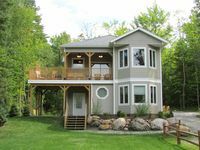 Property 43: Lakewood Haven -a newly renovated Adirondack cottage. Rustic Jewel by the Lake! - Hot Tub, Fireplace, Views - Perfect Hideaway! Property 50: Rustic Jewel by the Lake! - Hot Tub, Fireplace, Views - Perfect Hideaway! Beautiful house, exactly as pictured! Plenty of room for our large group! Really enjoyed sitting on the deck grilling and enjoying the beautiful lake and sunset!!! Very peaceful and quiet! Thank you for a great enjoyable stay!